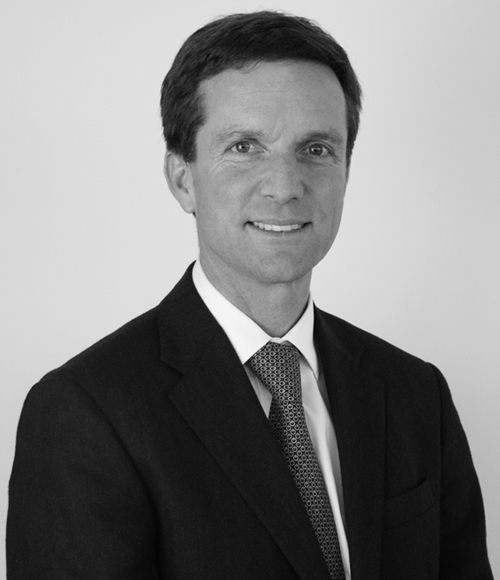 Partner of Carey and co-head of the firm’s Corporate / Mergers and Acquisitions and Capital Markets Group. His practice includes advising international and local clients in public and private M&A transactions, including tender offers, auction processes, joint ventures, private equity investments, and corporate restructuring. He advises international and local banks such as JP Morgan, Goldman Sachs, Morgan Stanley, Barclays Bank, BNP Paribas, LarrainVial and BanChile Citi on the structuring of transaction and financial products, including advice on derivative matters. He also represents, on a regular basis, infrastructure funds on the acquisition, restructuring and financing of infrastructure projects in Chile. Brookfield Asset Management on a mezzanine financing for the construction and operation of two renewable energy plants (Cerro Dominador Project) located in the Antofagasta region: a 110MW concentrated solar plant (utilizing molten salt technology) and a 100MW solar photovoltaic plant, that jointly will provide 210MW of base load renewable capacity to the Chilean electrical grid. Larraín Vial and Grupo Patio on the negotiation for the acquisition and take over of the management and control of the real estate investment fund Aurus Capital Renta Inmobiliaria, a Chilean fund owner of several commercial properties and offices with a net worth around USD300 million. Enel on the reorganization of its companies held in Chile, including the merger of Enel Green Power Latin America, Chilean subsidiary of renewable energy, into Enel Chile, Chilean subsidiary holding conventional energy assets, together with a tender offer of the latter over Enel Generación Chile. El Puerto de Liverpool, owner and operator of retail stores and shopping centers in Mexico, on the negotiation to make a tender offer (OPA) of up to 100% of the shares issued by Ripley (owned by Calderon family in a 52.98%). Amcor Flexibles, a global leader in responsible packaging solutions, on the acquisition of Alusa, the largest flexible packaging business in South America with manufacturing operations in Chile, Colombia, Peru and Argentina, for USD435 million. Altor and Bain Capital on the sale of EWOS to Cargill for USD1.35 billion. Electrolux AB on the acquisition of Compañía Tecno Industrial, the largest manufacturer of home appliances in Chile and Argentina, for USD670 million. Brookfield Asset Management on the acquisition of Vespucio Norte Express and San Cristóbal Tunnel toll roads for €253 million. Ontario Teachers’ Pension Plan Board on the acquisition of Chilean water utilities Essbio and Esval for USD1,100 million, and the post-closing restructure and refinancing of the companies. Christus Health on the acquisition of a 40% equity stake in the UC Health Network, and negotiation of a joint venture with Universidad Católica de Chile for the management and development of its health network. Lawyer of the Year Award in Capital Markets, Best Lawyers (2019). Lawyer of the Year Award in Corporate and M&A, Best Lawyers (2018). Recognized in Corporate and M&A, Chambers Latin America. Recognized in Corporate and M&A and in Capital Markets, Latin Lawyer 250. Recognized in Corporate and M&A, The Legal 500. Recognized in Corporate and M&A and Capital Markets, LACCA. Recognized in Corporate and M&A; Capital Markets; Banking and Finance, Corporate Governance and Compliance and Investment, Best Lawyers. Recognized in Coporate Law, Who’s Who Legal. Member of the legal group, ICARE. Member of the Board of Paz Corp and Adexus. Member of the Board of the Chile-Canada Chamber of Commerce. Professor of Commercial Law, Universidad Católica de Chile (2005-2013). Foreign Associate, Shearman & Sterling, New York (1996-1997). Author of specialized publications on corporate governance, merger and acquisitions, international finance among others. LL.M, University of Chicago (1996).